Located in Fažana, Apartments Cipreses Mar provides accommodations with free WiFi and a garden with a grill. Each unit is fitted with air conditioning, private bathroom and a kitchen including a microwave, fridge and a stovetop. A terrace with garden views is offered in all units. Brijuni National Park is 1.4 miles from the apartment. Pula Airport is 8 miles from the property. When would you like to stay at Apartments Cipreses Mar? This apartment has a oven, seating area and sofa. 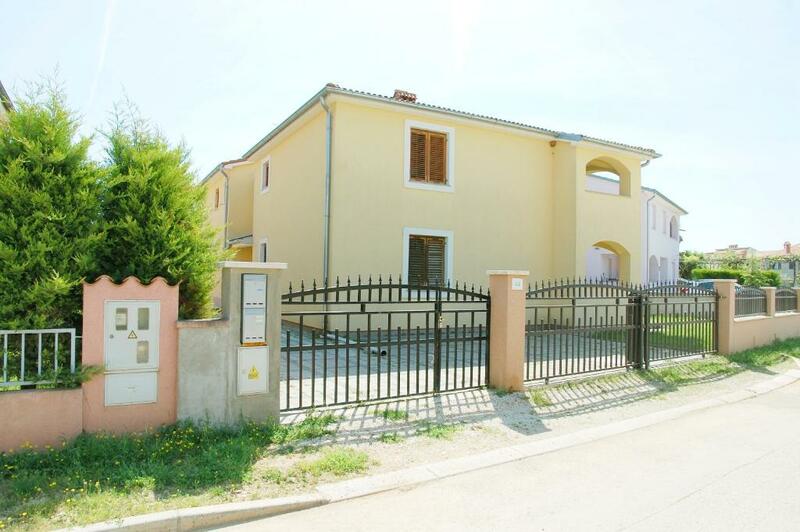 This apartment is situated in village Valbandon, next to town Fažana. It is located in the ground floor of one holiday home which consists of 4 apartments in total. The apartment is perfect for 3 persons in total. There you can find one bathroom with shower, one bedroom with double bed, living room with sofa bed, kitchen, terrace and a garden (30m2). In the garden you can find garden furniture and a garden barbecue. Parking space is situated int he closed garden. It is free, secure and reserved only for guests. The second apartment is located in the first floor. It is perfect for 4 persons in total. There you can find one bathroom with shower, bedroom with double bed, kitchen with dining part, living room with 2 sofa beds and a comfort terrace, with terrace furniture. We are the accomodation rental agency from Croatia, correctly from town Pula. Our name is HOLIDAY CHECKER, part of the company VOŠTEN PRO J.D.O.O. We are a domestic agency and we will help you to organize your holiday in a professional way. Village Valbandon will delight you with its beautiful beaches and unspoiled nature. We highly recommend to visit town Fažana and the islands of Brijuni, a national park situated opposite the town Fažana. You are always welcome in Valbandon. House Rules Apartments Cipreses Mar takes special requests – add in the next step! Apartments Cipreses Mar accepts these cards and reserves the right to temporarily hold an amount prior to arrival. Please inform Apartments Cipreses Mar of your expected arrival time in advance. You can use the Special Requests box when booking, or contact the property directly using the contact details in your confirmation. We need at least 5 reviews before we can calculate a review score. If you book and review your stay, you can help Apartments Cipreses Mar meet this goal.